There is no B.J. and the Bear video game as far as we know. Which is a shame because we really had a hankering to play a video game based on a critically mediocre 1970s television show featuring a chimpanzee who can drive a big rig. 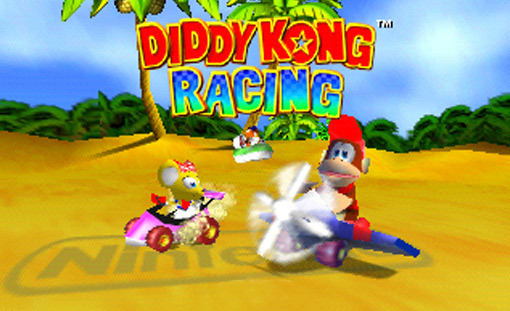 We had to settle for what is probably the closest approximation: Diddy Kong Racing. Which is really convenient because Diddy Kong Racing takes the number 16 spot on Dorkly’s Top 25 N64 games, and that just happens to be the list we are playing through right now. Weird how things just work out that way sometimes. Enjoy this episode where we wish Wiley’s voicemail a happy birthday and other stuff happens. Also, Diddy Kong Racing.